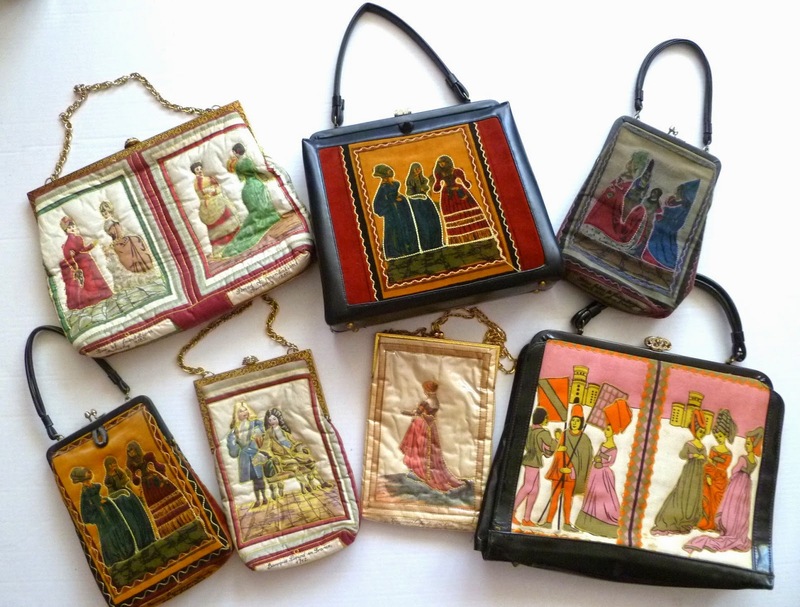 Jean Holbein Costume Purse. 1960s/70s. Maker: Delill. 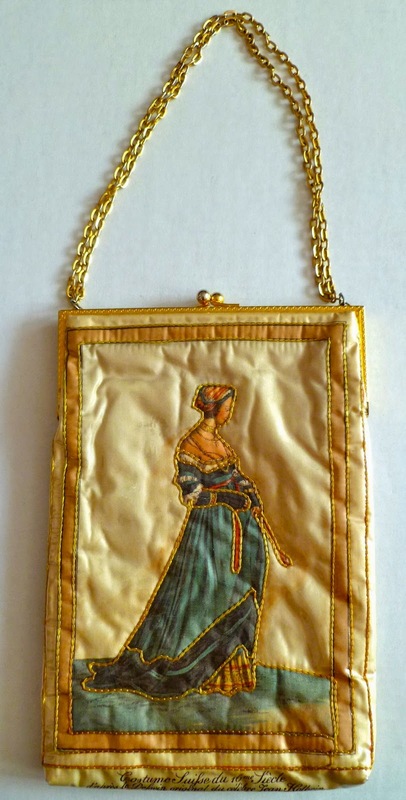 Lightly quilted fabric illustrated costume motif purse. Ladies on both sides in 1600s dress. 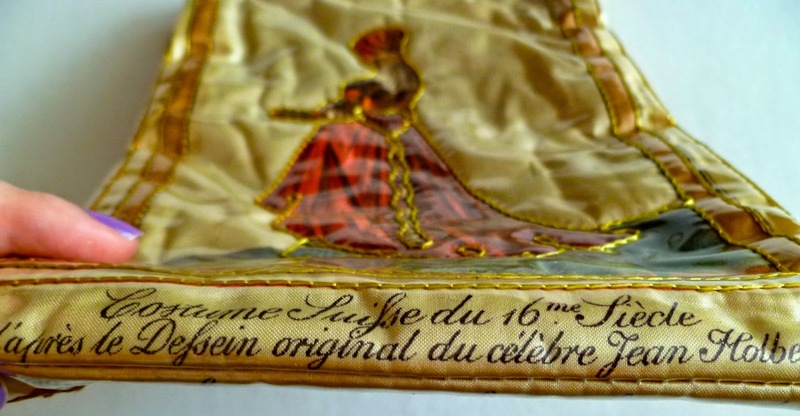 At the bottom of the bag on each side it says “Costume Suifse du 16me Siecle d’apres le Defsein original du celebre Jean Holbein.” (Note: I may not have written those capital letters correctly, as the French to English translation came out very odd. 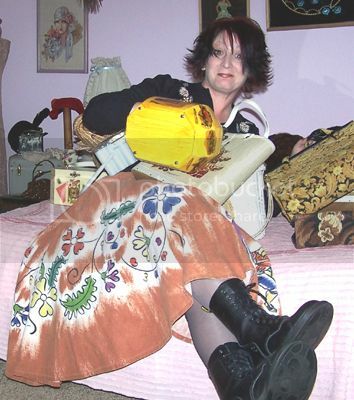 What I mostly got was that it's "a costume from the 1600s after the famous Jean Holbein.") Rectangular shape. 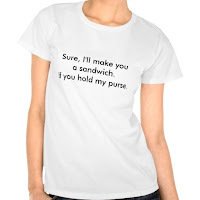 Gold stitching on ladies’ costumes and on the edge of the bag to accentuate the design. Lined in satiny fabric. One inner pocket. In addition to the Delill gold stamp on the inside, there is a tag that says “The Elaine Shop,” presumably where it was originally purchased. Goldtone frame and chain. 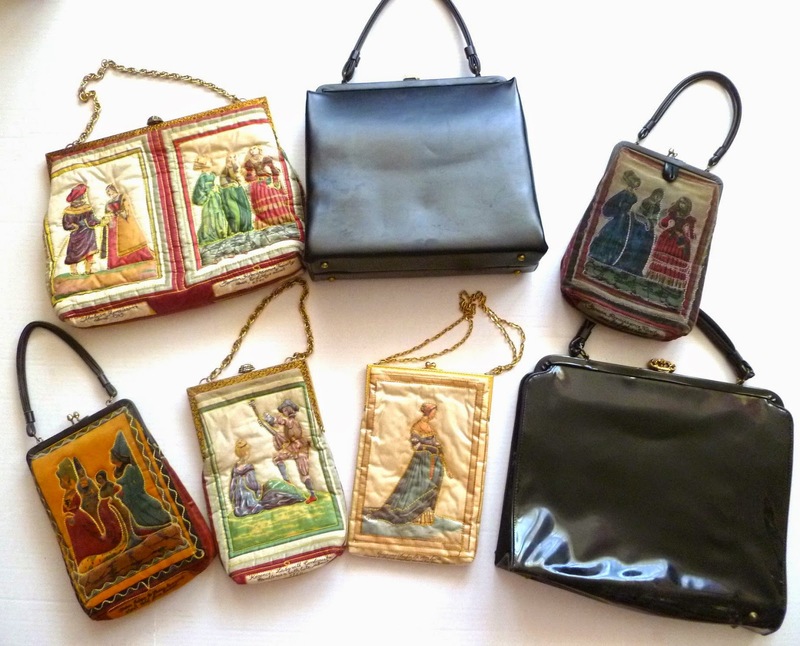 I am intrigued by costume purses and have a few of them—one of my collections-within-a-collection. Scroll down for some bonus pics. I’m not clear on the artist’s history, but when I Google “Jean Holbein” the name “Hans Holbein” keeps popping up. Any art historians out there? 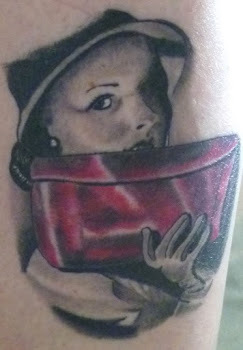 If you know the background, please email me, info@vintagepursegallery.com. Thanks!